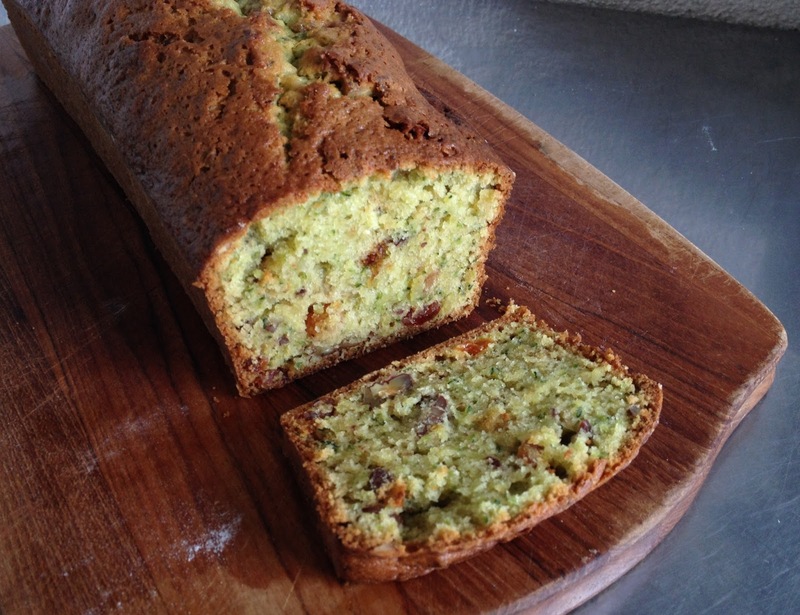 This zucchini bread has lots of fresh zucchini, hence the green color, raisins and nuts. It makes for a great snack or breakfast. If you've never had it - if you live in Europe probably you haven't - you should try: it tastes great and has lots of good stuff in it! Plus it's super easy to make and you can freeze it down if you want to keep a portion for another time. Beat eggs in a bowl. Add oil and sugar, mix. In another bowl mix flour, salt, baking powder and soda, nuts and raisins. 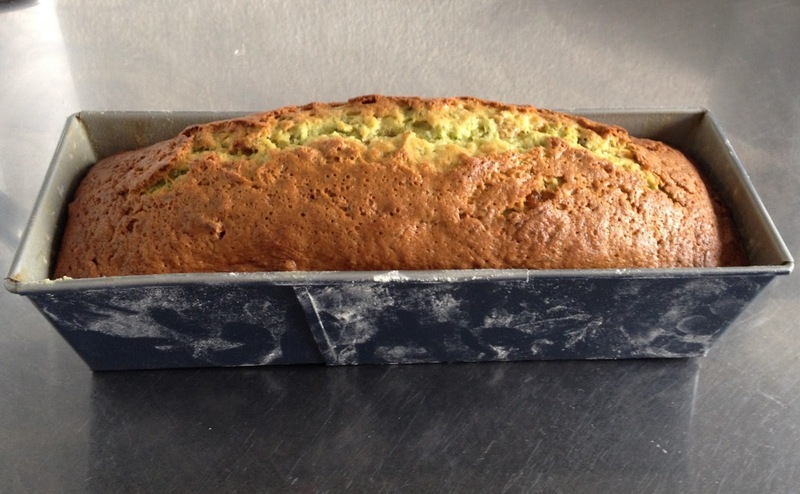 Transfer the batter to a greased and floured cake/loaf pan. Bake at 175C for 55-60 min (until a toothpick comes out clean).